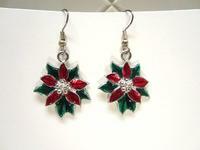 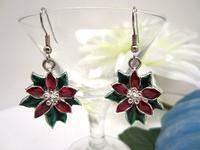 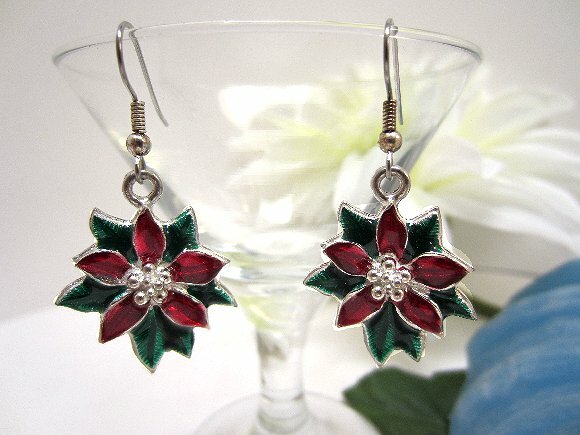 These festive red and green enameled charms show a beautiful poinsettia blossom enameled on silver metal. I've added hypo-allergenic surgical steel earring hooks to make Christmas earrings that are perfect to wear or to give. 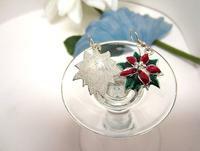 The Christmas earrings dangle about 1-3/4" from the tops of their hooks and are just shy of 1" across at their widest.